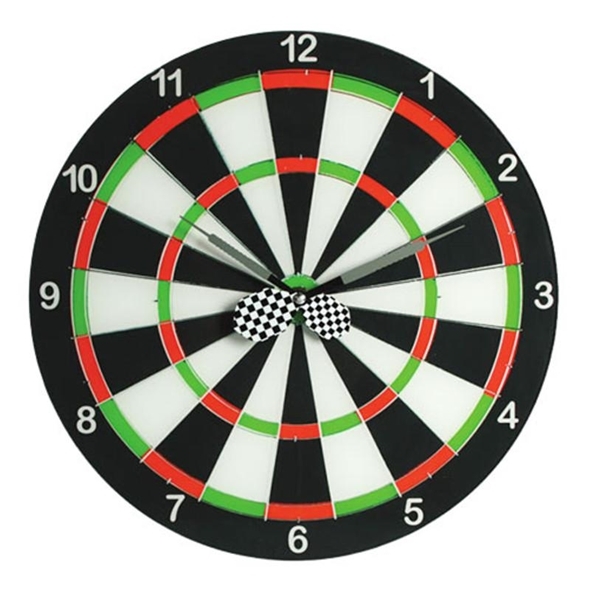 Darts fans will love this Dartboard Wall Clock, it's a contemporary take on the traditional dartboard with bold numbers and two chequered darts for hands. It would look great in your bedroom or in your man cave! But please note that although it looks like a real dartboard, it isn't. So we advise you, not to throw real darts at it. If you're lucky enough to have your very own man cave and you're a keen darts fan, then we have the perfect clock for you! This Dartboard Wall Clock would look great on any wall! You'll always be aware of time when your stepping up to the oche!